With those words, Pam Godwin has written on my favorite student-teacher dark romances. 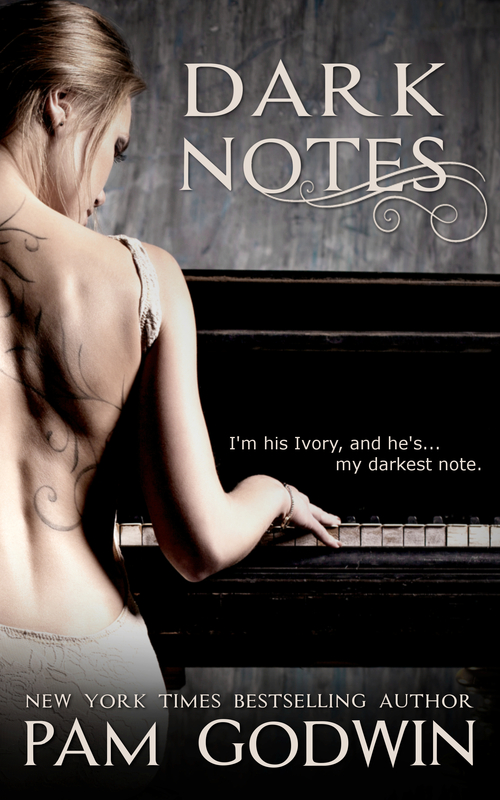 DARK NOTES is in the same category as UNTEACHABLE by Leah Raeder, with the rapid, short sentence style and the hopeless, yet hopeful, heroine. But Mr. Emeric Marceaux in in a class by himself (pun intended!) with his dark, dangerous and commanding nature. He knows what he wants and will do anything to make that happen. Ivory is a feisty, but dirt-poor music student who is out of her element at the expensive and elitist music school she attends. She is a senior and is trying desperately to make it to graduation so that she can secure a spot at a prestigious music academy. But she is the poorest student at the school, forced to do anything to survive. She barely has money for new shoes or the school uniform, let alone textbooks or the required tablet. Emeric is one commanding and bossy man. Whew. I thought I knew what I was getting into with this book but my God, this man is irresistible. He never, ever mistreats Ivory, unlike most of the other men in her life, and his heart literally aches for the proud student who refuses to take charity from anyone. Emeric became obsessed with Ivory and although he knew he had to stay away, they were both immediately connected and believe me, this girl needed his protection in the worst way. I love Emeric and was completely invested in him and his need to protect Ivory. This is without a doubt one of the sexiest forbidden love stories I’ve ever read. There is a fantastic, brutal, emotional and violent storyline that is pure Pam Godwin. The New Orleans setting is perfection, and having lived there for many years, I am always thrilled when an author gets the setting of the story just right. New Orleans is almost another character in this book, with its humidity, class system, funky neighborhoods and diverse music scene. Ivory is a feisty, strong heroine who will do whatever she needs to survive in her brutal world. She is no virginal, innocent heroine but she does have a refreshing honesty that I loved. Pam Godwin continues to be my go-to author for dark romance and DARK NOTES is just one more forbidden romance that hits all the right notes.